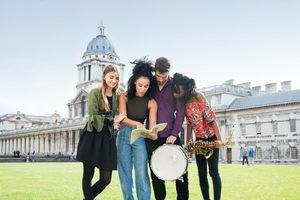 Trinity Laban is the UK’s only conservatoire of music and contemporary dance. Leaders in music and contemporary dance education, we also provide exciting opportunities for the public to encounter dance and music, and access arts health programmes. The unequalled expertise and experience of our staff are brought together through our online distance learning offer, as well as through our world class facilities at our faculty campuses in Greenwich and Deptford. Our innovative course provision, exciting performances and groundbreaking education, community and social inclusion work make Trinity Laban a leader in the advancement of creative artistic practice. Our unique conjunction has created exciting and uniquely accessible opportunities for collaboration between instrumentalists, singers, composers, dancers and choreographers.